Amembal & Halladay (A&H), the world’s foremost and most highly respected equipment lease training and consultancy firm, announces the strategic addition of Bob Rinaldi to complement and expand the knowledge and depth of its consultancy expertise. Bob will serve as Managing Director. Rinaldi is a seasoned entrepreneur and thought-leader in the equipment finance and leasing industry, guiding several organizations to success prior to joining A&H. He served as the CEO of CI Finance, a national equipment finance company, and as a Director at CBank, a commercial bank in Cincinnati. Most notably, he held positions as the Senior VP of CSI Leasing, and the President of National City Commercial Capital Canada. As the Executive VP at Information Leasing Corp., Bob played a key role in growing ILC to the fifth-largest, bank-owned leasing company in the U.S. with annual originations of over $3 billion and $8 billion in assets. Bob is a Past Chairman and Director of the Equipment Leasing and Finance Association (ELFA), the premier trade association representing the $1 trillion equipment finance sector in the U.S.A. He is also a member of the Equipment Leasing and Finance Foundation’s Research Subcommittee and Development Committee. He is a past Trustee of the Foundation and Past Chairman of ELFA’s LeasePAC. 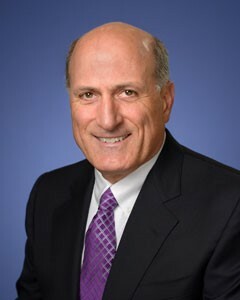 Rinaldi was the recipient of the Foundation Research Committee’s 2013 Steven R. LeBarron Award for Principled Research and ELFA’s 2014 David H. Fenig Distinguished Service in Advocacy Award. “Bob’s vast practical experience will add substantial skills to Amembal & Halladay’s portfolio of existing consultancy services in areas such as growth strategies, vendor programs, succession planning, acquisition due diligence, and crisis resolution”, said Sudhir Amembal, Chairman and CEO of Amembal & Halladay. Shawn Halladay, Senior Managing Director of A&H added, “Besides his expertise, Bob has an abundance of enthusiasm for the industry”. For further information, please contact Sudhir Amembal at sudhir@amembalandhalladay.com.